With episodes on police brutality and voter suppression, the ABC comedy “black-ish” frequently tackles heavy subject matter. Creator and show-runner Kenya Barris brings these conversations into America’s living rooms with a healthy dose of humor. His work will be recognized on Nov. 16 with the 2016 Rod Serling Award for Advancing Social Justice Through Popular Media. Established by Ithaca College, the award honors Rod Serling and his pioneering efforts in the television industry. Serling taught at the college from 1967 to 1975. Like Serling’s work on “The Twilight Zone,” Barris’ work focuses on social flaws like prejudice, greed, cowardice, abuse of power and narrow-mindedness, Diane Gayeski, dean of the Roy H. Park School of Communications, said. “Through creative devices — in Rod’s case it was typically science fiction and in Kenya’s case it’s often humor — the popular media they create provide a platform for personal reflection and public discussion,” Gayeski said. 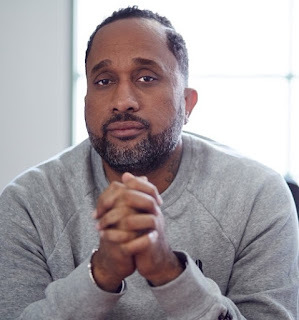 Under ABC Studios, Barris works as the executive producer and co-showrunner on “black-ish” and is the co-creator and executive producer on “Unit Zero,” an upcoming series featuring Toni Collette. Throughout his career, Barris has co-created and sold pilot television shows, including “America’s Next Top Model,” which is now viewed in 49 countries and 21 internationally formatted spin-offs. “Kenya represents not only talent, but persistence, insight and the ability to collaborate — all traits which we are proud to honor,” Gayeski said. The Serling Award recognizes a modern media professional whose work raises awareness of prejudice, inequality and society’s changing social norms. As a result of his highly notable series, “The Twilight Zone,” Serling is one of the media industry’s most respected writers and proved television can shed light on serious, controversial subjects through the sci-fi/fantasy genre. The college currently houses the Rod Serling Archives, a comprehensive collection of his television scripts, film screenplays, stage play scripts, film, unpublished works, awards and other materials. The award ceremony will be live streamed on Nov. 16 through the Park Media Network at approximately 7:45 p.m. Pacific Time. Barris will receive his award at the Paley Center for Media in Los Angeles.